Former Army standout Caleb Campbell has been signed to the Detroit Lions 53-man roster, The Detroit Free Press is reporting. 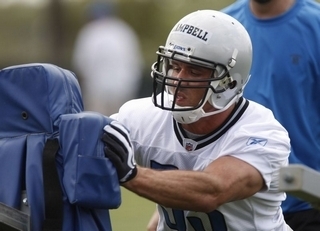 This marks the second time this season that Campbell, a linebacker, has been called up from the Lions practice squad. He was activated for Detroit’s game at Dallas on Nov. 21, but did not see any action in that game, a 35-19 loss. The Lions (3-10), who snapped a five-game losing streak last week in a win against Green Bay, travel to Tampa on Sunday to play the Bucs (8-5).